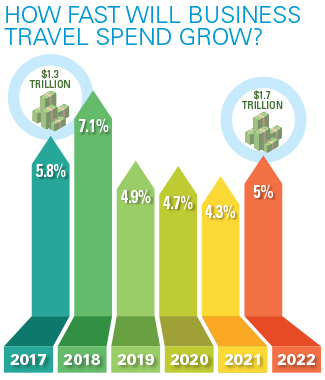 Global business travel spend grew 5.8 percent in 2017, an improvement on recent years’ moderate numbers, according to Rockport Analytics’ annual GBTA BTI Outlook, put together on behalf of the Global Business Travel Association. Rockport expects to mark 2018 growth at an even higher 7.1 percent. 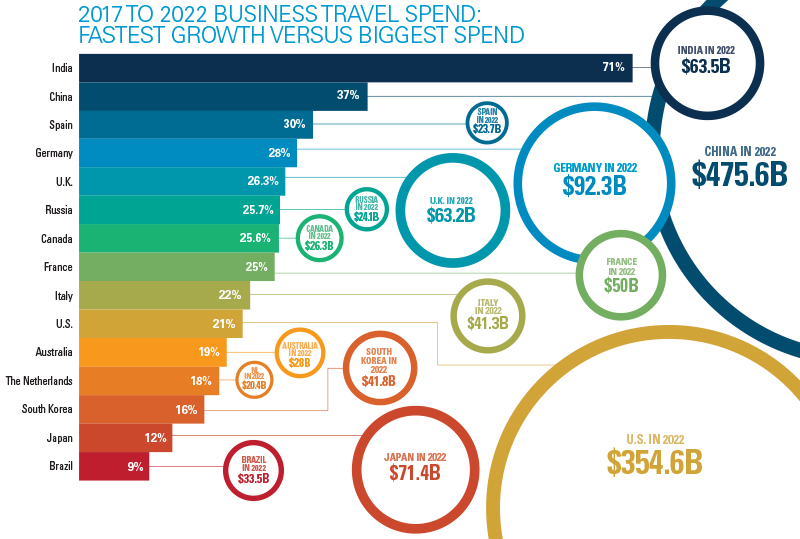 “The two-year period spanning 2017 and 2018 is projected to be the strongest two-year period for business travel since the initial recovery from the Great Recession in 2010 and 2011,” according to the report. Rockport does, however, expect growth to moderate again from 2019 through 2022, as the global economy is late in its current economic cycle. Still, growth is growth, and the industry is striding rather than inching toward the $2 trillion mark. According to BTN Business Travel News, Reporter Amanda Metcalf.